Change things up with a short trip to Shark Valley in Everglades National Park (about 1h 05 min away). 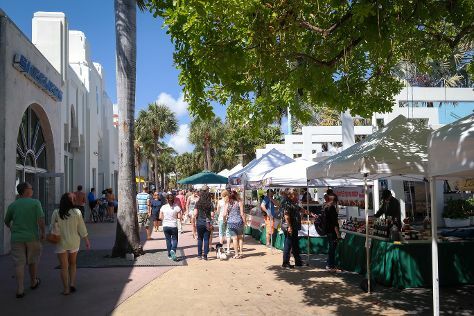 And it doesn't end there: wander the streets of Lincoln Road, get to know the fascinating history of Art Deco Historic District, enjoy the sand and surf at South Beach, and see the interesting displays at Vizcaya Museum and Gardens. To see traveler tips, other places to visit, photos, and more tourist information, refer to the Miami trip itinerary maker site . In May, plan for daily highs up to 87°F, and evening lows to 74°F. Finish your sightseeing early on the 27th (Mon) so you can travel back home.